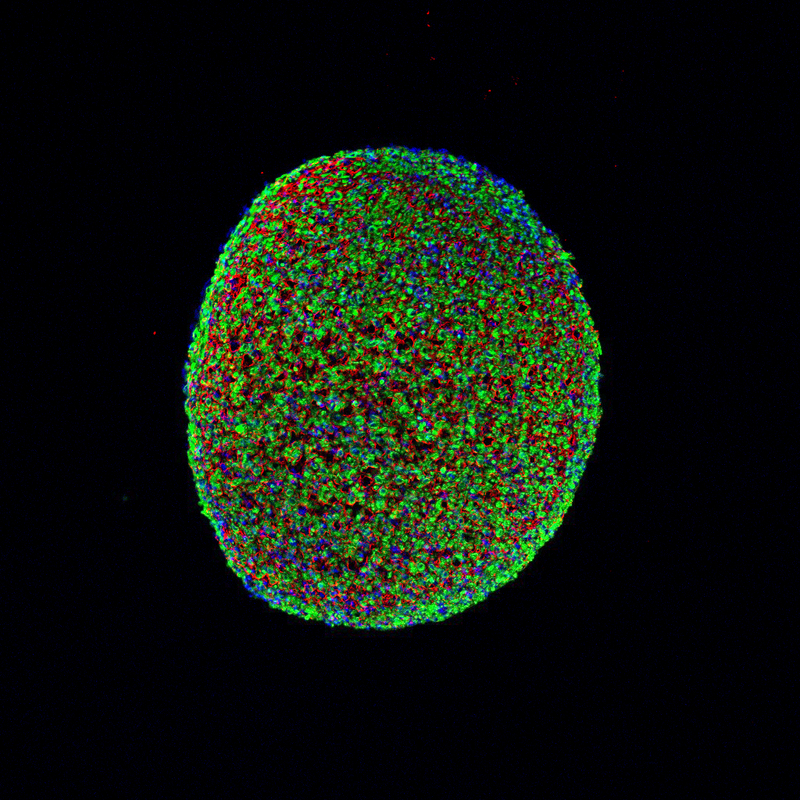 Biomedical engineers have grown the first functioning human skeletal muscle from induced pluripotent stem cells. The advance builds on work published in 2015 when researchers at Duke University grew the first functioning human muscle tissue from cells obtained from muscle biopsies. The ability to start from cellular scratch using non-muscle tissue will allow scientists to grow far more muscle cells, provide an easier path to genome editing and cellular therapies, and develop individually tailored models of rare muscle diseases for drug discovery and basic biology studies. The results appear online Tuesday, January 9, in Nature Communications. In their previous work, Bursac and his team started with small samples of human cells obtained from muscle biopsies, called “myoblasts,” that had already progressed beyond the stem cell stage but hadn’t yet become mature muscle fibers. They grew these myoblasts by many folds and then put them into a supportive 3-D scaffolding filled with a nourishing gel that allowed them to form aligned and functioning human muscle fibers. In the new study, the researchers instead started with human induced pluripotent stem cells. These are cells taken from adult non-muscle tissues, such as skin or blood, and reprogrammed to revert to a primordial state. The pluripotent stem cells are then grown while being flooded with a molecule called Pax7—which signals the cells to start becoming muscle. As the cells proliferated they became very similar to—but not quite as robust as—adult muscle stem cells. While previous studies had accomplished this feat, nobody has been able to then grow these intermediate cells into functioning skeletal muscle. The Duke researchers succeeded where previous attempts had failed. Once the cells were well on their way to becoming muscle, Bursac and Rao stopped providing the Pax7 signaling molecule and started giving the cells the support and nourishment they needed to fully mature. In the study, the researchers show that after two to four weeks of 3-D culture, the resulting muscle cells form muscle fibers that contract and react to external stimuli such as electrical pulses and biochemical signals mimicking neuronal inputs just like native muscle tissue. They also implanted the newly grown muscle fibers into adult mice and showed that they survive and function for at least three weeks while progressively integrating into the native tissue through vascularization. The resulting muscle, however, is not as strong as native muscle tissue, and also falls short of the muscle grown in the previous study that started from muscle biopsies. Despite this caveat, the researchers say this muscle still holds potential that the stronger, older relative does not. The pluripotent stem cell-derived muscle fibers develop reservoirs of “satellite-like cells” that are necessary for normal adult muscles to repair damage, while the muscle from the previous study had much fewer of these cells. The stem cell method is also capable of growing many more cells from a smaller starting batch than the biopsy method. Both of the advantages point toward a possibility of using this new method for regenerative therapies and for creating models of rare diseases for future studies and individualized health care. The technique also holds promise for being combined with genetic therapies. Researchers could, in theory, fix genetic malfunctions in the induced pluripotent stem cells derived from a patient and then grow small patches of completely healthy muscle. While this could not heal or replace an entire body’s worth of diseased muscle, it could be used in tandem with more widely targeted genetic therapies or to heal more localized problems. 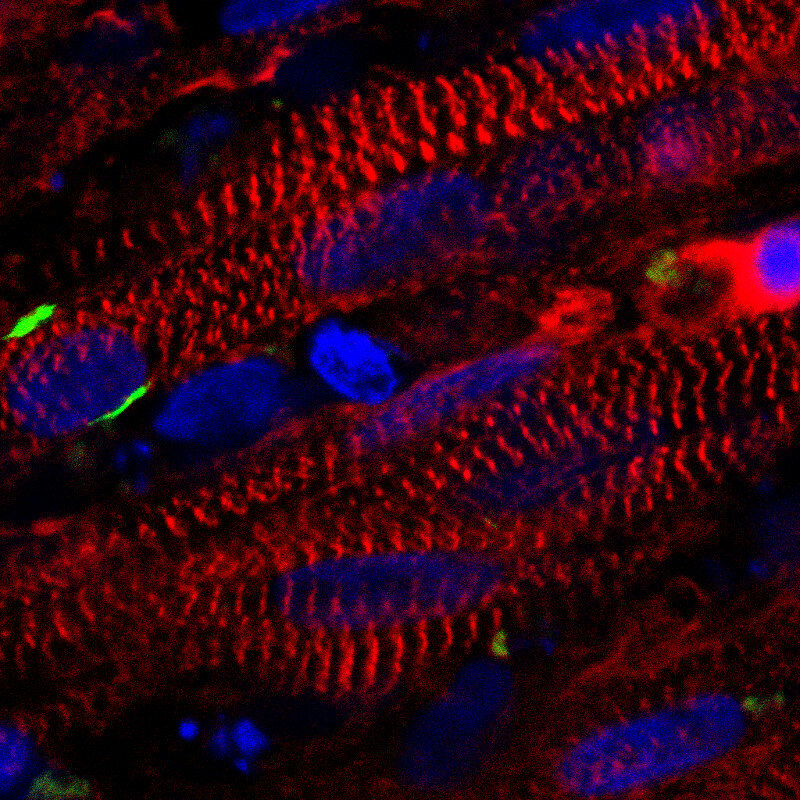 The researchers are now refining their technique to grow more robust muscles and beginning work to develop new models of rare muscle diseases. This work was supported by National Institutes of Health (UH3-TR000505, UG3-TR002142, AR065873, and AR070543).